While in the ruins, place your Dragon's Peak Adventure Item on the portal and a red dragon will drop an item up on the hill to the left of Persephone's place. Even if you haven't reached far enough into the game to open that section of the ruins it will automatically open up for you now. Walk down the steps towards the first few enemies of the level, these are grey versions of those Chompies you've grown to love. They don't do anything different to other Chompies so just roll through and kill them and their Chompy Pods. As you approach the pair of pods ahead you'll be introduced to an actual new enemy, the Boom Fiend. These Trigger Happy lookalikes run towards you carrying a bomb, they're a bit annoying as they do a fair chunk of damage and are difficult to kill before they explode, your best bet if you don't have ranged attack is to simply let it get close and immediately hit it before it starts to explode, you should knock it back and it'll try again. Keep doing this until it's dead or it explodes. Once all the enemies are dead a bounce pad will appear in the middle of the stone circle at the end of the area. Use it to jump up to the next platform. Here you'll meet another new enemy, the Arkeyan Hammah. These have a forcefield shield that protects them from all your attacks except for when they try to attack you. So let them get close enough so that they attack, then you can either interrupt their attacks or run behind them as they prepare and attack from there. After killing the Hammah and the Chompies you'll meet Ramses who'll tell you how you're going to progress through the level; by flying on Flavius's back. Go over to the Dragon Horn to hop aboard for your first flying sequence. These don't really get any more complicated, all you need to do is move to avoid the large stationary boulders and to fire at the Sky Mines as you fly towards them. Gather the gems if you want but it's not really worth much coin to do so. Watch out for the Boom Fiend as you land and then head over the shallow water to the left to find the Story Scroll. You don't need any kind of water or flying Skylander to reach it. Kill the Chompies and the Chompy Pod whilst avoiding the Boom Fiends, once they're all dead the Monster Gate will open to let you reach another Dragon Horn. The next platform is home to your first meeting with the Dragonets, these blue insects fire a fireball at you that you'll want to avoid - also avoid the remains of the fireballs that sit burning on the floor. There's also a Boom Fiend along to help try to kill your Skylanders. On the left is an Air Gate. Exactly what the name suggests. Go to the left up onto a bounce pad, then up the slope to the right over some spikes and down off the end. There should be a bomb just there, pick it up and run north to the bounce pad which you'll need to use to go diagonally over another couple of pads to where you can throw the bomb up north. Watch out for the dragon heads there though as they blast a stream of fire at set intervals, just wait for them to stop (although no need to wait to throw the bomb) before walking past and picking up the key from behind the smashed wall. After you've got the key stand on the button to the left of the bounce pad on this section, this will lower some blocks. Bounce to the right and then go up the slope to get to an area with dragon heads along the path, get past them to the locked gate behind which is a Present with the Winged Hat inside, the fastest hat in the game. Leave via the whirlwind that brought you in back at the start of the obstacle course. Go north over the shallow river to a bounce pad, on the next platform you will want to go left off the edge to another bounce pad, this will take you high up to a small platform with a dragon horn on it. After the uneventful flying section you'll reach a slightly larger platform with some Chompies on it. Kill them all and a bounce pad will appear. This one requires a bit of timing, watch the rotating platform above so that you land on the bounce pad side of it rather than the spiky side. This will take you up to the Legendary Treasure and a dragon horn that takes you right back to where you just came from. Drop off the right to get into a fight with an Arkeyan Hammah and a few Dragonets. Killing these will open up a Monster Gate and allow you to access a Dragon Horn. Walk past the first set of fiery dragon heads and head right, you'll be going through a whole load of them now, the last of them being in a large circle - avoid these by waiting for them to turn off as with the rest of them. Past them you'll get to a grassy section with some Chompies, use the bounce pad here to get onto the rotating bounce pad and up above. First go onto the further away side, use the bounce pad on the near platform if you landed there, and make your way around to where there's a couple of Boom Fiends standing by a Monster Gate. Avoid their explosions and as you approach the gate you should notice on the left a bounce pad, use that to get up onto the ledge to the left where you'll find a Treasure Chest. Now you may want to go north and kill the two Hammahs standing by the gate but do not use the dragon horn there if you are intending to get every collectable in one go. Instead go south and back to the near side of where just bounced up off a rotating bounce pad. There you'll find a dragon horn to use. The area you reach simply has a couple of Dragonets and Sunburn's Soul Gem "Flight of the Phoenix". Use the dragon horn. Kill the Arkeyan Hammah that approaches and then go right down the path behind it, you'll find a Treasure Chest. Turn around and go the other way through a couple of sets of dragon heads before reaching a circle of them, a circle that just so happens to be spinning. Just wait for them all to turn off before crossing it and you'll be fine. Walk past some more heads along the next bit of path, watching not to get too close as they do slightly move side to side. At the end is a spinning circle with a bounce pad on it, use the pad when it's next to the columns on the far side, that should let you bounce up onto the platform above. Kill a couple of Dragonets and then proceed onto another spinning circle, get between the two dragon heads to use the bounce pad. The next one has a few more dragon heads on it, bounce up from the left side. Try not to move too far to the left as you jump upwards though as the next on will be firing too and you only need to stay on the righthand side to get where you need to go. Walk forwards to the grassy section and get fighting, there's just a few Chompies and a few Arkeyan Hammahs in this bit, walk over to the sides nearest them if they don't jump down. Once you've killed them all you'll get another bit of a talking to and a bounce pad will appear. Use it to jump up to the right, ignoring the rotating bounce pad platform for the moment. On the right side you'll find the third and final Treasure Chest. Drop back off and then use the pad to get up the rotating platforms to a Present just off to the left, beneath the start of the throne section. Inside is the Royal Crown. Again drop off and this time use the platforms to reach the throne area to get into the final fight against Vathek's minions. Keep on fighting until all the enemies are dead to finish the level, mostly just watch out for the four Boom Fiends at the start. I found it super easy to use Flame Slinger for the time completion (16:56) In fact i use him for all maps. Holding down the right triggger making him run faster and repeatedly hitting it, by passing enemies and only killing enemies that i have to kill to open up locked doors...also do heroic challenges to boost up his speed this will make him even faster. I've completed all the objectives but time. I swear it takes me 20 minutes to get up the bounce pads before the last fight. I just can't reach the last pad, what's the secret? I can't find the ledgendary treasure anywhere! CleoTheGood, Yes. The only way to get it is to buy the Dragon's Peak Adventure Pack with Sunburn. It's around $20 and most Gamestops and Wal-Marts still have it. I just got one on Friday the 11th. So is the only way to acquire this level is to buy that Adventure Item? Done this level so many times, killed everything and still cant get enemy goal. HELP!! LOVE THIS WORLD! I like playing as the dragons here! So, what will this level be like in Giants? What do u think? I... love this level! The music there is so beautiful and catchy; makes even me wanna adventure in that world. 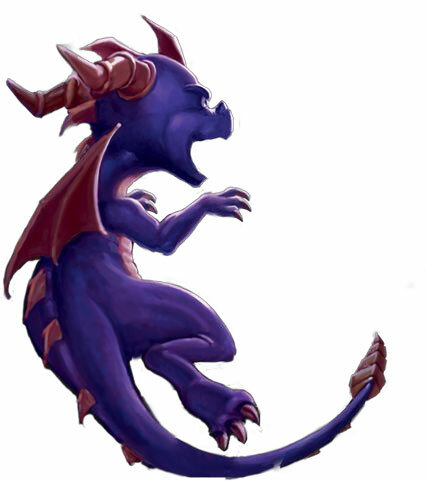 And I like the idea using real dragons as the main characters of the level: it feels like Spyro has finally found his ancestors. The level has beautiful landscape and I always thought it's funny to fly with the red dragon and take cover from the flying rocks. It was still a pity that you didn't actually have to fight Vathek: he could have been great boss with undead elements effects. I got this A couple days ago. Now I just need pirate seas and I'll have all the adventure packs! This was so freakin' easy I slept through it!